Notice I said “light”. As in singular. Some months ago through the generosity of my parents I was able to purchase a basic indoor, two-light studio setup. Just the basics. Lights. Stands. Umbrellas. Light boxes. It’s nice. But I haven’t had a chance to use it. It is, after all, primarily made for photographing a human subject(s) and my then subject, the daughter, decided to do a one-eighty in terms of cooperation. Typical teen, eh? And so my lovely kit has sat rather abandoned in the upstairs closet while I pondered what the devil to do about it all. But that’s not completely true. 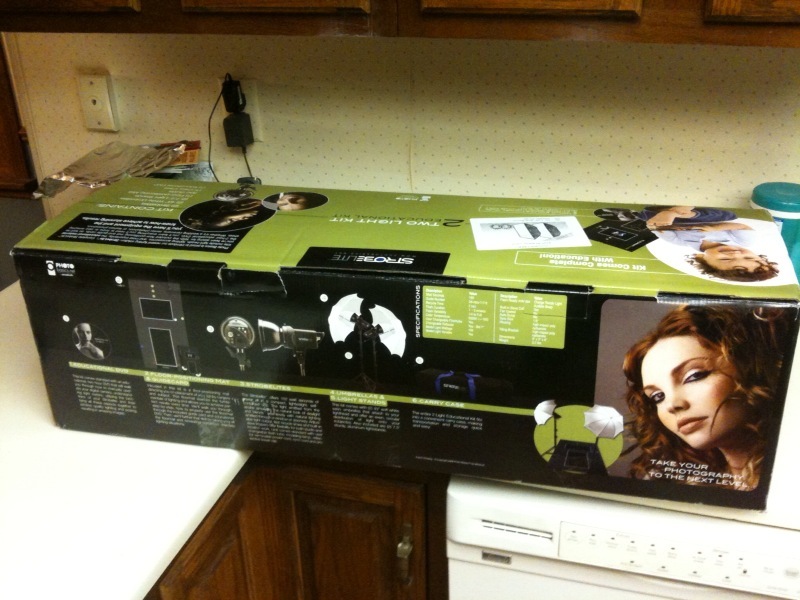 I sort-of knew what I needed to do: find a new model. But finding a model isn’t quite as easy as it sounds. Nevertheless I put my mind to it and a few months later (no surprise at the time line, right?) I contacted an acquaintance who has a daughter about my daughter’s age. I have seen her daughter a handful of times at our community’s pool and across the street at my neighbor’s, where she receives violin lessons. She’s long and lean. Pretty, but not pretentious. And so it was I thought she might make for a good model. Her mother thought Jenna, that’s the daughter, would be interested and promised to speak with her about the idea. Soon thereafter I had my answer: Yes! Saints be praised, I had a new model. I explained how I would like to do some outdoor work as well as indoors seeing how I had these nice lights and such and she was completely fine with it. Very good thought I. And so it was I scouted a few locations out-of-doors last weekend, settling upon one particular place where I sincerely hope we will find good shooting. But during the course of my recee I discovered that lighting was a bit of an issue. Earlier in the day it would be far too sunny, but in the mid-afternoon it might be a tad too dark. Clearly some lighting would be helpful, but I couldn’t use what I had and while a camera-mounted flash can be better than nothing… let’s just say it’s not ideal. A down & dirty strobist kit seemed the best way to go and as I already had the flash and umbrella I only needed a better stand (something more solid for working outdoors), an umbrella attachment device and some electronics to fire the flash. And so it was I found myself heading over to see my fav camera store guy and he hooked me up. Basic, but sturdy 9-foot light stand. Cheap (i.e. plastic) umbrella adapter (which he’ll swap for the better Manfrotto one when it’s again in stock – go Alex!). RPS radio flash firing electronics (more reliable than some of the others they carried, but no where near as nice or expensive as the Pocket Wizard stuff). And what may be the real winner is that I have a second flash in the house! I had completely forgotten about the small Nikon flash I purchased with my last film camera. 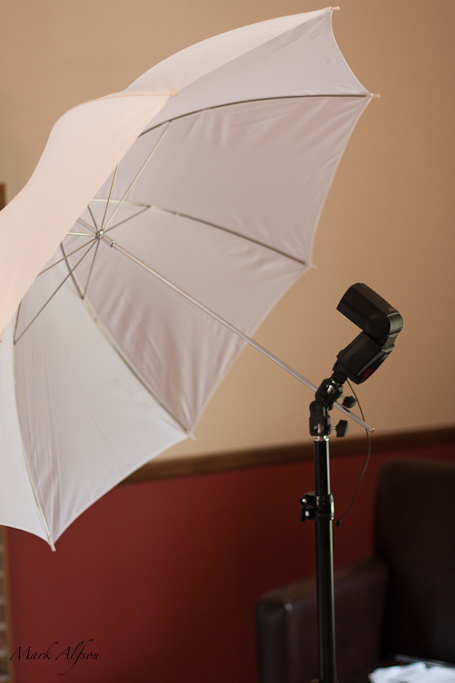 Another stand, umbrella holder and electronics and I will have a two light kit! Damn if things haven’t been exciting lately. Well…. photography wise they have been exciting. Around the house has been much less so, what with the death of the compressor for the HVAC system. Say goodbye to USD3,224! Oh well…. at least it didn’t die during the depths of winter or middle of summer, right?! Bright side…. gotta look on the bright side. But what about photography, eh? “Exciting stuff?” you say. Hell yeah! I barely have enough time to get through any of it, but here we go…. For some time I have coveted a strobist lighting setup so that I could branch out into lighting. I preferred the strobist route if only because you can go strobist both indoors and outdoors, and I had plans for some outdoor portrait/model type work. Alas, that route was simply too expensive for me on my own or for my benefactor. So what does one do when they money isn’t there? Well, you go cheap and take what you can get! My benefactor was able to spring for a basic studio flash kit (USD500) to help me get started and while this kills off the versatility of shooting outdoors it DOES give me the opportunity to: (1) learn about lighting, (2) do some nice model/portraiture work, and (3) do a better job lighting-wise than I have been able to do thus far. The nice thing about this particular kit is that not only does it come with lights, umbellas, etc., but a bonus set of soft boxes and mounting brackets. Now I have four soft boxes…… which means I need to figure out what to do with them all! And that’s a good thing….. I like learning new stuff. Next up to bat is a quick mention regarding some auto racing shots I took two weekends ago. Actually…. they weren’t really racing as it was one of those test and tune events, which is really neither here nor there. Cars. On the track. Going round quickly. But I’m going to save my thoughts and reactions to this event for another distinct post so you will just have to wait for a bit. Now a quick change of gears to the Apple iPhone. One of which I own. Lovely device. And one of the bigger markets of apps is the photography arena. Many apps in the App Store are geared towards editing and/or processing your shots. But of late I’ve discovered that there are a number of utility-type apps, which are meant to help photographers with the process of creating shots. One area that concerns me in particular is depth of field. I shoot almost exclusively in Aperture Priority mode. For me controlling the depth of field is a more important aspect of the way I prefer to shoot and how I like my images to come out. It’s what I like, so it’s what I do. However, depth of field is kind-of a hit or miss issue in photography. For any given aperture setting, millimeter focal setting and distance to subject one can change the depth of field in an image, but knowing what will and won’t be in focus is often a guess. Sure, there is the depth of field preview button on our cameras, but I always found them to be relatively useless. And one can, of course, review the taken image via the LCD screen to see what is and isn’t in focus, but why guess and check afterwards when you can know in advance? Why indeed! Meet the DoFMaster app for the iPhone. It is one of about eight I reviewed in the App Store and selected it based upon favourable reviews and it’s simple nature. I confess to better liking the UI of another app, but I’ll try this one for a while and see how it works. If I’m disappointed I’m only out the price of a candy bar, so what the hell. I’ll report back later on my experiences with this app. “No prob,” think I as I still have the PDF site bookmarked in my cell phone and to the iPhone I go. Pull up the site, which even on the Wi-Fi takes a few seconds and then begin scrolling through the document. Scrolling ever so slowly. Painfully slowly. Especially slowly seeing how the page I need is nearer the end of the manual. Damn irritating to be frank, which is sort-of funny considering how amazing this whole experience really is when you think about it. I follow the directions within the app to pull the relevant PDF file from the Internet and attach it to the app. Now I’m cooking….. The app provides all the sorts of benefits of a PDF reader that simply didn’t exist when viewing the PDF in Safari. I can turn pages one by one. I can rapidly scroll through the document. I can view in portrait or landscape mode. It really is quite amazing. And for free! 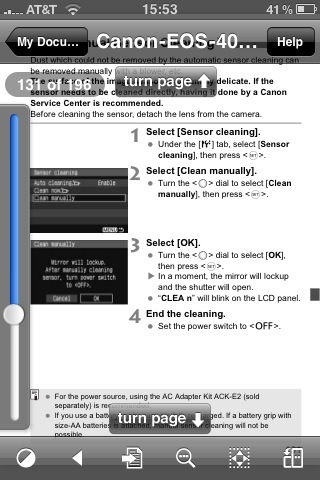 Seeing how I always have my cell phone with me I now always have my camera’s user’s guide with me. Sure, I don’t need it often, but I’m not out anything to have it on-hand 24/7/365. Amazing…. really amazing. If you own a camera AND a phone which can save & view PDFs then this is a brilliant way to have important information at your fingertips at a moments notice. Gonna be a short one…. Seeing how I pretty much covered everything of the photo shoot with the daughter at Woodland Cemetery, I really don’t have much to add except for something about the most recent upload to Flickr (10 pictures) and some final thoughts. In my previous post I mentioned how I frequently took at least two snaps of each pose: one with and one without flash. Some of the pics with flash were repeated at different flash outputs so I may have wound up with five or six flash versions before we moved on to a different pose. On the whole I was more pleased with the non-flash versions of all the photos where she is on the ground with the lovely Ginkgo leaves. However, this isn’t the case for the pictures in the latest upload to Flickr. The images I took of her against or by the tree (with the Ginkgo leaves still about) looked too dark when first viewed in review on the LCD screen of my camera. I took a number of non-flash images before I realized that maybe flash was the way to go and again began the process of shooting multiple images at different flash output levels until I found that for which I was looking: images that looked natural and without any harsh shadows. This was, for the most part (and keeping in mind this was my first time trying such a technique), a success, but not as complete a success as I would have liked. If you look at the above image you can see a distinct shadow created by her right arm upon her exposed skin. Oh well….I’m not going to worry about it. I still think it’s a lovely shot and the shadow a very minor annoyance. So…final thoughts. This was a great achievement for myself. I real pat-on-the-back moment if I do say so myself. When at the cemetery I saw the ‘scene’ and realized its potential. I thought about its potential and found a way to exploit it. I opted to work outside my comfort zone and try not just one (portraiture), but two (flash not on the camera’s automatic settings) new things. I had fun. And of all these moments it is the fun part that I will likely remember the best. It was fun because it was new, exciting and different. It was fun because the daughter and I got to spend time together in a positive manner, which is always difficult with a 16-year old. And yes, it was fun because things worked out. I’m not so certain the impact of the fun bits would be so strong if the whole endeavor had led to rubbish. The only problem now is, where do I go from here? How much of this was simply a coincidence of moments that happened to work together relatively flawlessly? What are the chances I can do this again, but under different circumstances? Can I replicate this bit of good luck without over-thinking it and making it decidedly less fun? I don’t yet know the answers to these questions, but I’m hoping or the best. Gonna be a long one…..
Like the title says, this is likely to be a long posting. But I do have lots to say and I think it’s only fair to warn you advance. So settle in, grab a cup of tea or a bottle of beer or a glass of single-malt, and take a journey with me….. This is the daughter being semi-forced into being my model for an afternoon of shooting at the Woodland Cemetery in Dayton, Ohio. A few weeks back I ventured to the cemetery with some fellow Flickr mates, who also happen to live in the area. We had a great time shooting and chatting, and then followed it up with some nice dinner. While shooting I thought about how nice it would be to return on an overcast day and shoot some images of the various statues and such. You know….pretty common fare for cemetery photography. But as I like that sort of thing I have no problem with running with the crowd. And so I did return on just such an overcast day with pending rain. While visiting on this overcast day I noticed that the Ginkgo trees had finally shed most of their leaves, which had been quite attached when I was there the week before. Even in the diffuse light of this overcast day the leaves made for quite a splash of colour as they lay upon both lawn and road. While it took a while an idea did eventually develop in my mind that I should return with daughter in tow and shot her against these leaves. I thought that her darkish red hair, pale complexion and penchant for blue-coloured clothing would make for wonderful contrast and compliment against these Ginkgo leaves. And so it was that I returned home with this idea in mind only to find that the weather predicted for the next day was to be more of the same: overcast, but without threat of rain. And so I informed the daughter of my plans for her. The next day (Thursday, if memory serves) was indeed overcast and I eagerly awaited her return to home from school. Once she arrived I filled my car with my camera kit, some towels (as it was damp from the previous night’s rain) and a ladder, which was to be used to offer me some altitude by which I might better shot the photographs as the daughter lay upon the leaves. So far the planning and excursion have been pretty straight-forwarded. But this was, for me, an incredibly stressful situation. I had never before done anything like this. I did manage to cajole the daughter and a friend of hers to semi-pose for me for a series of pictures of them playing Guitar Hero, but this was completely different. I was about to embark upon something new and completely different and my life’s history tells me that such journeys always, not sometimes or almost always, but always end in failure and misery. We started with a few pictures, but I realized that she was too stiff so I talked her through loosening up and being more natural. Surprisingly it worked. She took well to my directions and relaxed, thus relieving much of the tension that the first few photographs conveyed. I also quickly learned that full-body-length images weren’t working. Not at all. They looked to linear and didn’t pop in any meaningful way (as much meaning as one can gather from the 3.0-inch LCD screen on the back of a digital camera). So I shifted focus (pun completely intended) to shots that were much closer up and here I struck upon success or, at the very least, success compared with what I had been getting. Concerned that the overcast day was going to leave the daughter underexposed, I had brought along my flash unit (Canon 580EX II) to help me through the shoot. However, I wasn’t certain it was worth bringing as I really have zero knowledge and/or skill with its use. About the only thing I know is that I can regularly obtain better flash images indoors by bouncing the light off ceilings or walls when using it (thanks Strobist!). And I have managed to get better flash pictures in this manner, but I had always set the camera to full automatic mode when doing so. Under cemetery conditions there were no walls or ceilings from which to bounce the flash and full automatic mode for the camera seemed….well….non-experimental. As such I had made up my mind that I would shoot in my preferred mode of Aperture Priority and use the flash to help lift shadow or even tones as I saw fit. I knew that full-power flash would not work at all. Period. No way. No how. And I do know enough about the workings of my flash such that I could change it’s output (up or down), which I did. I experimented with different settings: -1/3, -1/1, -1&2/3, etc. until I found a setting that didn’t completely wash out her skin tones or create shadows on the leaves behind her. This was actually quite a bit of fun for me, experimenting and all that, but not so much for the daughter, who had to remain in the same position while I took multiple shots of her at different flash power settings. In the end I believe that the non-flash images are fine on their own. I do not think she is underexposed or that the images are too dark in general (it was really overcast and being November the sun doesn’t get very high in the sky anyway). As a matter-of-fact, I think lifting the shadows with the flash unit removed a bit of the three dimensional quality that comes from the aid of shadows. However, and in defence of my efforts, I think the flash versions came out far, far better than I had any right to imagine. Some are better than others, but on the whole I think the flash versions stand up in their own right and that there are other pictures not yet uploaded to Flickr whereby the flash version was definitely better. Upon getting home and going through the pictures I was quite nervous. I was, at first, wowed by my results. They were, on the whole, far better than I had anticipated, especially considering the so many firsts that were involved on this shoot. But I was afraid that as days passed and I looked at the images more closely I would find fewer and fewer with which I was pleased. However, I’m very happy to report that as time went by I became even more pleased and proud of my results. In addition, after my wife had an opportunity to view them she passed along a compliment, which both warmed my heart and surprised me as she usually doesn’t make too many comments (much less compliments) about my photography endeavor. She said something to the effect that it seems to her that I have improved upon my framing and composition as the months have passed. I’ll take that, thank you very much! Finally, there was one flaw with many of the images taken with the flash and that was of reflection in the daughter’s eyes. Granted, as the power-output was low the reflections weren’t overwhelming, but simply distracting: a little pinpoint of light on an otherwise lovely brown. To remedy this situation I took advantage of the clone stamp in my oft-used JPEG editing software, Paint.Net (freeware). Problem solved! So there you have it. Work with a model. Flash work outside my usual comfort zone. Utilizing photo-editing software for something other than tweaking and conversion to JPEG. A grand adventure in every manner and one which I greatly enjoyed not just because I obtained results with which I am so pleased, but because it was truly a great way to spend an afternoon with the daughter.